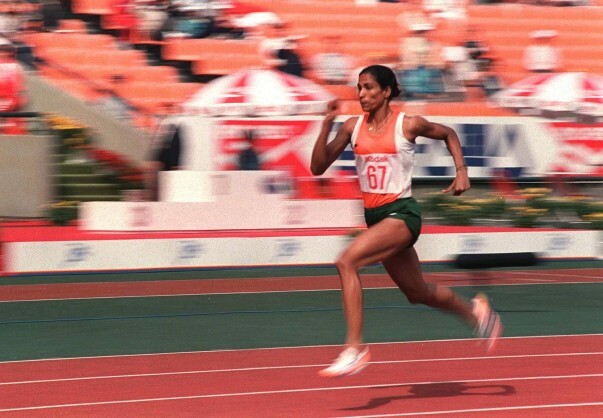 Pilavullakandi Thekkeparambil Usha better known as P T Usha was undoubtedly one of India’s greatest athletes and rightfully called the ‘Queen of Indian Track and Field’. She became the first ever Indian women to reach the finals of an Olympic event when she won the Semi Finals in the 1984 Olympics at Los Angeles. She holds the world record for the most gold medals earned by a female in a single track event for the complete sweep in the 100, 200, and 400 meter sprints, the 400 meter hurdles, and the 4 x 400 meter relay at the 1985 Asian Track and Field Championship in Indonesia. P.T.Usha had become an icon for Indian women athletes and a living legend in Kerala, where streets and new-born babies were regularly named after her. PT Usha was conferred the Padma Shri and the Arjuna award in the year 1985. She has won 101 International medals till date. After retirement, P.T. Usha started the ‘Usha School of Athletics’ in 2002 with the sole aim of winning an Olympic Medal for India by training young athletes. 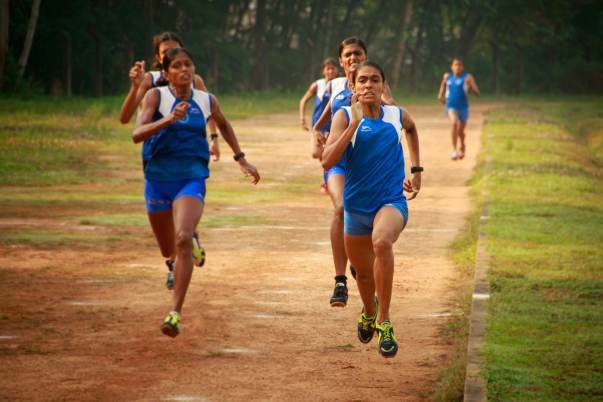 The school has 18 girl students who live and train under the watchful eyes of PT Usha.As quoted by P.T. Usha “After many years of experience in athletics, I am convinced that what we lack in India is not talent, but the basic, modern and scientific facilities. If we train our young Indian sports talents nothing, not even Olympic medals, is unachievable. The Usha School today has 18 girl students who live in the residential campus. They work hard every day. The day starts at 5:30 AM, and they are at the running ground by6:15 AM. Their morning on court session lasts 3 hours till about 9:30 AM. They attend school till 4:30 PM. An evening training session lasts from 4:30 PM to 6 PM. The Usha school is completely free and provides free training, stay, shelter and food to the young athletes. The young athletes were found by Usha through a rigorous selection process. Most of the girls are from underprivileged backgrounds but have tremendous potential to make India proud internationally.The government and the corporates support the infrastructure needs of Usha School. However, the Usha School completely depends on individual donations for providing the daily needs of the athletes which include education, food and hostel facilities. The daily needs per student per year are 3 lakh rupees. The campaign intends to raise funds to support eh girls for 6 months, the cost of which comes to 27 lakh rupees.In the current scenario, the school finds it difficult to support and nurture more deserving young talent. With your help, Usha School intends to facilitate a safe and positive environment for athletes to nurture their talents. Thank you for your immense love and support! The Usha School of Athletics fundraiser on Milaap has elicited great response from donors spread around the globe. 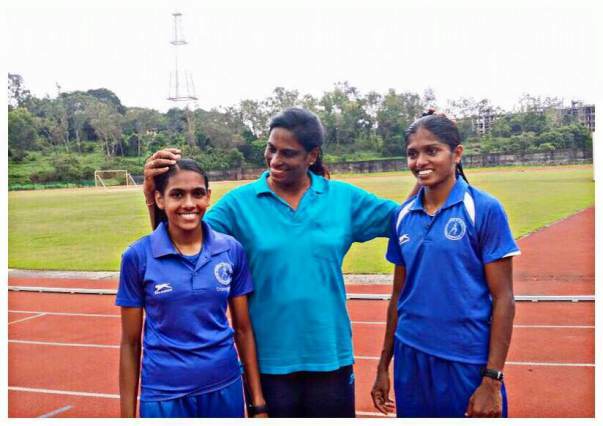 It has been really encouraging to see that there are so many people out there willing to support Usha School and who believe in P T Usha’s dream of winning Olympic medals for India. Our sincere thanks to all who have contributed. We hope you will be there for us, supporting us, going forward as well. Our finances were really stretched to its limits when we started the campaign and it is only because of the generous contributions that we have managed to keep going. Being a free school, where we provide everything for free to our students, has been very challenging. What made it harder was that a couple of our regular sponsorships came to a close. The funds from this campaign helped us through the end of last year and the bit that is left over we are using to meet some of the day-to-day running expenses of the academy this year. A fresh infusion of funds would be really helpful for us now and will put our minds at rest on continuing our mission. This year we have taken in 3 more promising athletes who are in their early teens. Like most of our other athletes, they are all from underprivileged backgrounds who could use all the help they can get in their quest to winning medals and becoming champions India can be proud of. Therefore, we are increasing the goal amount for this campaign to 40,00,000 INR. Kindly support our athletes who can bring glory to India, if given love and support! Thank you for your tremendous love and support. This couldn't have been possible without you all. It gives us immense pleasure in informing you all that Jisna, a trainee at our school, has won a gold medal in Asian Junior Athletics Championship 2018 in Gifu, Japan. She clocked 53.26 seconds in the women's 400 metre final. She also has a personal best of 52.65. She has already won a senior Asian Championship's bronze medal as well as a gold in the 4x400 metre relay. It is really thrilling to see her excelling. Thank you everyone for being so supportive. Greetings from the Usha School of Athletics. We are very happy to inform you that, with the generous support of over a thousand donors who contributed handsomely to our crowd-funding effort on Milaap, we have now raised Rs. 2.65 million, only just short of our targeted amount of Rs 2.7 million. All the funds collected through the campaign will help us meet all the needs of our athletes for the next half year. This includes their training, gym & equipment needs, travel, accommodation, food & supplements, medical needs and their academic requirements, all of which we provide them for free. The kind of support and encouraging messages we have received is, frankly, very humbling and beyond our dreams. That so many people, from across India and the world, are backing us is a matter of great pride as well as motivation. We thank you all with utmost sincerity. Please do continue to support us as nothing keeps us going better than your belief in us. PT Usha has always been my hero. I hope my small contribution will help in any way to achieve her big dreams. -Always a fan! I always wanted to be an athlete but never had support. I truly believe in cause and would love to see India do good through my small donation.